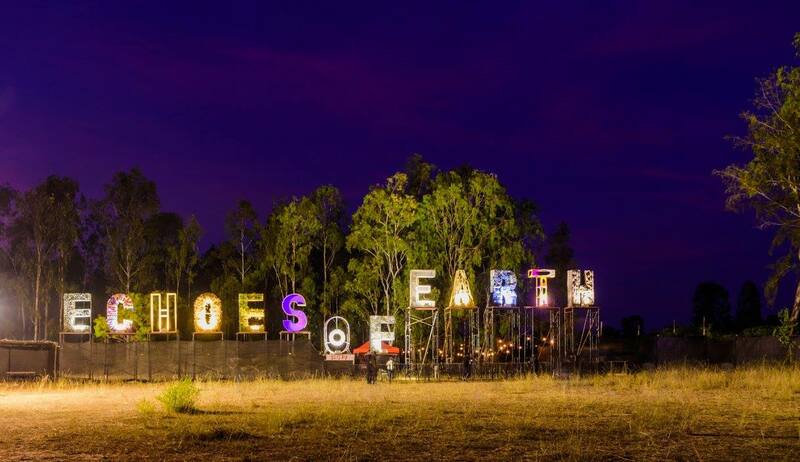 Your essential guide to our favourite festival ‘Echoes of Earth’ and why you shouldn’t miss it. A plethora of music festivals are swarming the country, but Echoes of Earth won our hearts last year. Set in the lush woods of Embassy Riding School in Bangalore, visuals projected on trees, upright cement pipes creating stage backdrops, and an outstandingly diverse artist line up with the likes of Youngr, Sub Motion Orchestra and Beardyman along with a slew of 40 more well balanced indie, electronica and ethnic acts. Echoes of Earth is India’s 1st ecologically-crafted music festival. The festival is a hub for music lovers and those who care about sustenance and preservation of the Earth. The first edition of Echoes of Earth saw an artistic convergence of over 40+ Indian and International musicians and artists who came together in the lap of pristine nature to do what they do best. This year, they’ve announced another stunning line up whilst brining back a few favorites. We can only imagine what they have in store for us this year, we’ll continue to give you all the low down and more information as is unravels. But if this first phase announcement is anything to go by, you mind need a dozen spare jaws to drop. Here are some of our favorite moments from the yesteryear’s edition while we eagerly wait for consequent line up announcements for another exciting musical November! Amongst a lot of the DIY decor was this piece that created a beautiful aesthetic as we walked to the spell binding Bianco stage in a path surrounded by woods and aptly lit. Although they had a small security hitch on Day 1, the next night was made up for. Just as you park your car, and hit up the friendly crew at the ticket counter, you’re led on to this neolithic sign that prepares you for the things to come. A banyan tree that also doubled up as a stage, set between the two primary stages was as organic as the surveillance could get. As time went by this chameleon truly changed colors. With detailed scriptures, this spot played homage to tribal Indian music and musical instruments of yore, which have come to be lost over the years. You haven’t heard beatboxing until you’ve heard what Beardyman can unleash with his combination of talent, humor and tech wizardry. Beautiful finale from this crossover act, all the more enhanced with a very mild Bengaluru drizzle and cool breeze. Throbbing with all the cool decor, this was our favourite stage as the homeboys throw down a bender of a techno set. Sending the crowd into a frenzy with his fresh covers that showcase a multi-instrument talent like no other. We for one can’t wait to hear the next set of line up announcements as the wise people at Swordfish Events sure as hell are holding on to their trump cards for later. In the meanwhile get you early birds tickets before they sell out here.